Breasts Ahoy – Paddles up! Welcome to Breasts Ahoy! 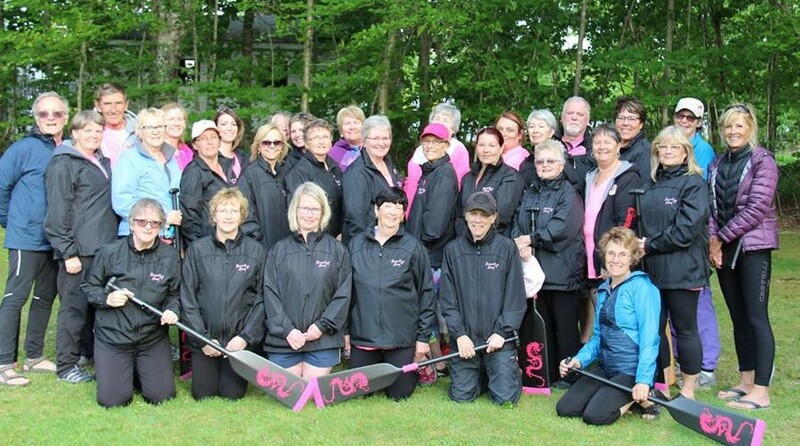 We are a team of dragon boat paddlers from Saint John, New Brunswick and surrounding area who have survived breast cancer and wish to celebrate life by paddling together to promote fitness, health and having fun. We paddle from spring to fall and meet throughout the winter to participate in membership activities, fundraise, and plan the next paddling season. 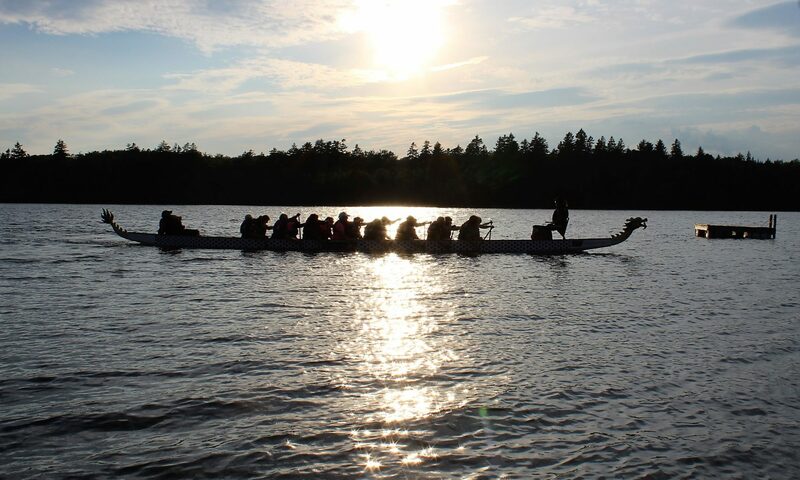 Our 42 foot long dragon boat has ten seats and holds 20 paddlers. The paddlers sit with their hips against the gunnel and paddle together leaning forward, driving their paddles into the water and pulling back. 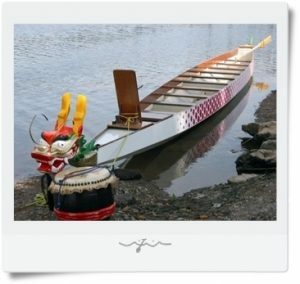 The drummer sits at the front of the boat and beats a rhythm to guide the timing of the paddlers. The steersperson stands at the back of the boat and steers with a long oar. Two paddlers at the front of the boat set the pace and are called the stroke. The strongest paddlers usually sit in the middle of the boat and are called the engine room. 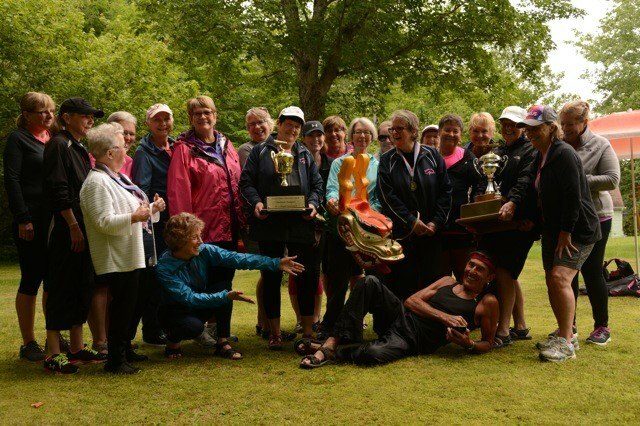 It takes practice and commitment for all paddlers to develop good technique and train for participation in races at dragon boat festivals. To help people who have had breast cancer understand they can live a full and active life, despite the physical limitations imposed by the disease. To grow stronger as individuals, as a team and have fun in the process. To maintain a team of breast cancer survivors strong in body and spirit by paddling for fitness and fun. To spread the word that one can celebrate life after breast cancer.